A daily hydroxy acid and peptide facial peel. 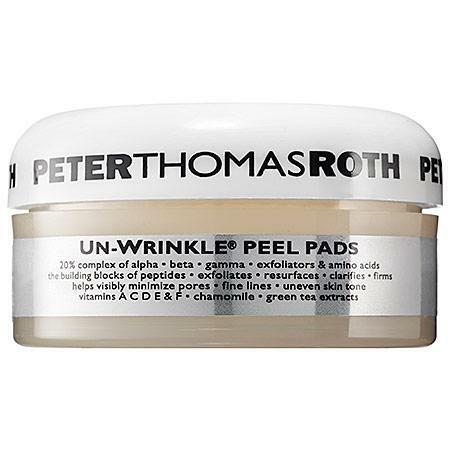 Regular use of Peter Thomas Roth Un-Wrinkle Peel Pads reveals clear, radiant skin. A unique complex gently exfoliates skin to support natural cell turnover, while protecting skin from environmental damage and boosting moisture. Convenient and easy to use, these peel pads are formulated with alpha, beta, and gamma hydroxy acids (which act as exfoliators) and amino acids (the building blocks of peptides).